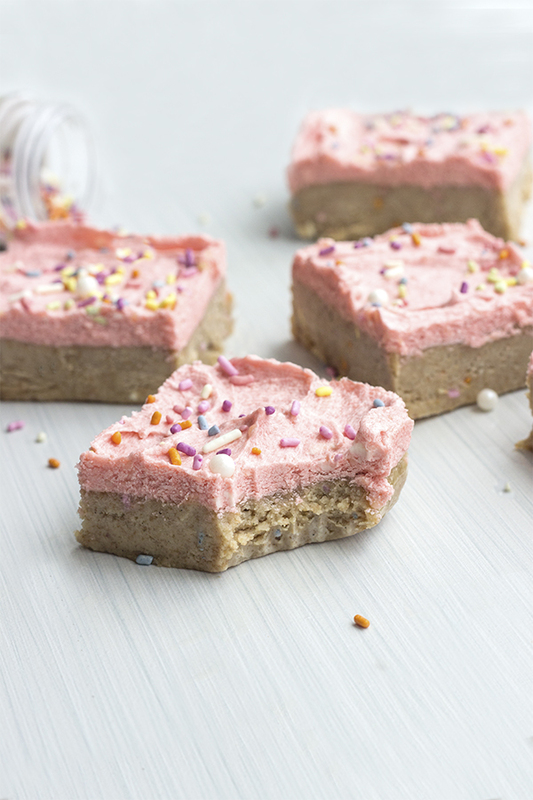 Birthday Cake Batter Bars - Healthy No-Bake Cake Batter Bars Recipe! You could say I’m on a no-bake treat kick. Lately, I’ve remade these No-Bake Peanut Butter Oat Coconut Bites and No-Bake Chocolate Raspberry Brownie Bites. 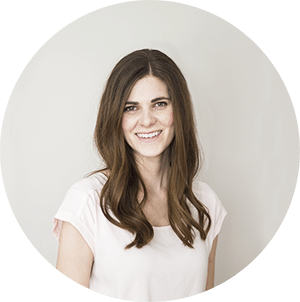 Today, I’m giving up the bites and am going for gold – thick, delicious no-bake bars. 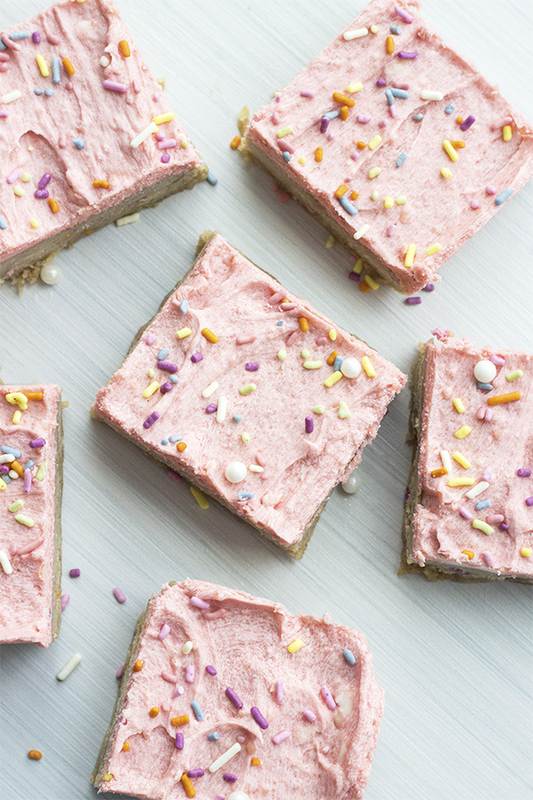 Bars that taste like cake batter! 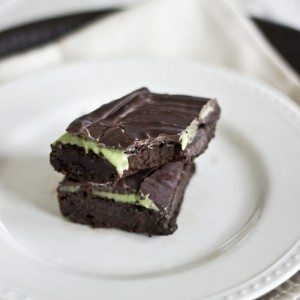 Bars slathered with creamy frosting and packed with protein! I made these Cake Batter Bars for my mom’s birthday. I wanted to try to surprise her with a birthday treat that she’d absolutely love. 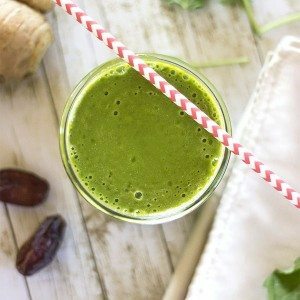 One that is healthy, full of natural ingredients and isn’t a sugar-overload. 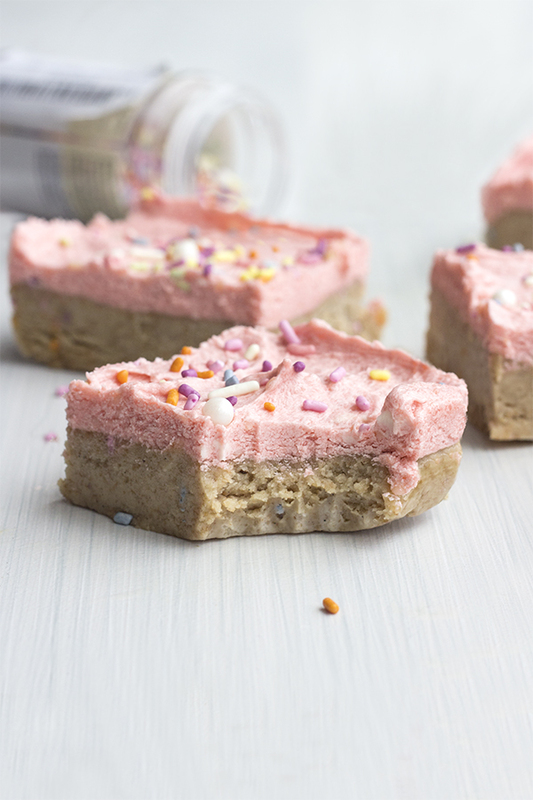 These healthy cake batter bars fit the bill, but they are also sweet enough for a birthday celebration! She loved them! 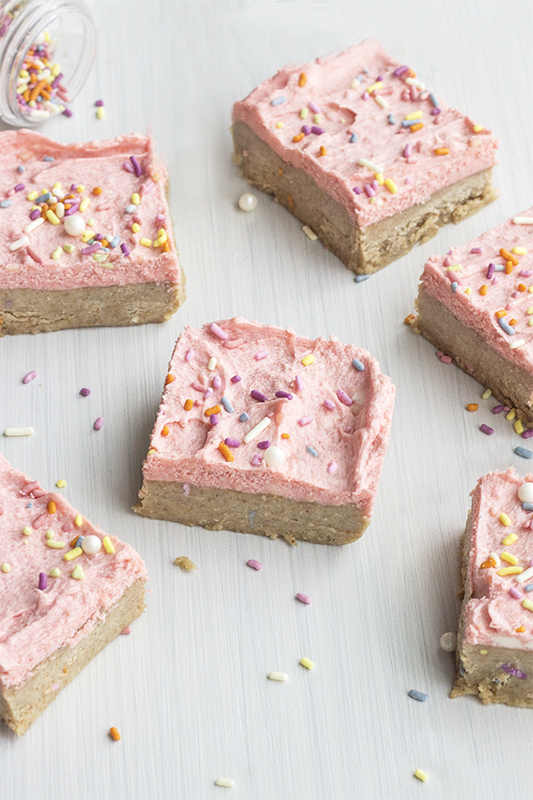 If you can believe it, these delicious birthday batter bars are low sugar, high protein and vegan. The texture is right there with a sugar cookie bar. Perhaps my favorite part about them is that the no-bake aspect intensifies the “cake batter” flavor. It’s so good! These bars are easy to whip up for that nostalgic cake flavor any regular old time. Let’s party like it’s your birthday! Let’s celebrate just because. Enjoy with or without the frosting but definitely don’t forget the sprinkles. Line a 9 x 9 inch baking pan with parchment paper and set aside. In a large mixing bowl, combine the butters, sweeteners and almond milk. Stir until well combined and completely smooth. Add the extracts and salt and beat to combine. Add the dry ingredients and mix. 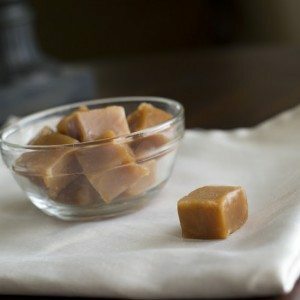 The mixture should be soft and pliable but not sticky. Add an extra teaspoon or so of flour if needed. Scoop out the dough and press into the prepared pan. 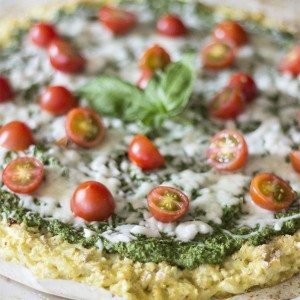 Place in the freezer to set for 30 minutes. In a small mixing bowl, combine the earth balance butter and coconut butter and mix until very smooth. Add the rest of the ingredients and mix until smooth and creamy. Add the beet juice or natural food coloring to desired look. You can also add more flour or almond milk to desired consistency. Spread over chilled bars and top with more sprinkles. Chill again for another 15 minutes, slice and enjoy. Store leftovers, covered in the fridge or freezer. These were fantastic!!! Thank you for the awesome sugar-free treat! Will make this recipe again.